Uttarakhand Public Service Commission (UKPSC), Haridwar has released Result for Uttarakhand Review Officer / Assistant Review Officer Exam 2016. 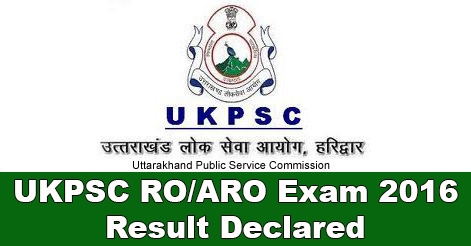 UKPSC released the Result for Uttarakhand RO/ARO Exam 2016. The mains examination was held on 09-10 September 2018. While the Computer Knowledge Test, Typing Test in Hindi/English was held from 17 December 2018 to 28 December 2018. UKPSC released the Cut-Off marks, Computer Marks, Hindi Typing Key Depression, English Typing Key Depression and Revised Answer Key of General Studies Exam. All eligible candidates can download Result & Cut off Marks from the below link. 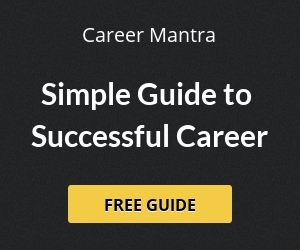 Download the result of Uttarakhand for UKPSC Review Officer/Assistant Review Officer Examination. The result will be downloaded from the official website www.ukpsc.gov.in. The mains examination was held on 09-10 September 2018. While the Computer Knowledge Test, Typing Test in Hindi/English was held from 17 December 2018 to 28 December 2018. UKPSC released the Cut-Off marks, Computer Marks, Hindi Typing Key Depression, English Typing Key Depression and Revised Answer Key of General Studies Exam. Candidates can check the result for Uttarakhand RO/ARO Exam 2016. Help us to improve this article/job posting "UKPSC ARO/RO 2016 Exam Result Declared". We would be glad if you can comment below and provide your valuable suggestions and feedback. If this page have any wrong information/list or out of context content, then you can report us as well.